Here are some testimonials from a few of BW Timber Harvesting’s clients. We are extremely happy with the job Ben did on our property. He answered all of our questions and always responded to phone calls in a timely manner. Ben's professional work ethic was greatly appreciated. 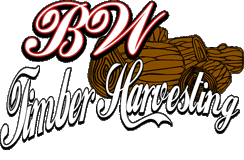 We would highly recommend BW Timber Harvesting to anyone. Thanks Ben! BW Timber - Great Job!! I had BW Timber Harvesting selectively clear my 6 acre lot. We did a couple walks of the lot to discuss the job and then they went to work. I couldn't be happier with the results. Some of the young trees randomly left standing that will fill-out nicely now that the rest of the lot is opened. My lot now has some nice views but still has some shaded areas that the animals like. I would highly recommend BW Timber for your next tree harvesting job. Ben White Timber Harvesting, professional and courteous. My forest management plan was executed precisely, the wood lot was left looking like a park. All the house guests like the work too! Thank you so much for the well written, fact-filled response to my student's letter about timber harvesting! He was so excited to receive a letter back! We all learned a LOT about responsible harvesting! I have 12 forested acres in New Hampshire that I purchased from someone who had not maintained it at all. My dream is to someday build a house on this lot but for now, I just want to manage the forest so that my land maintains its value. I asked Ben at BW Timber Harvesting for a quote. He visited the property, evaluated the forest, took an inventory of what types of trees were there and made some recommendations. He said that there were a lot of lower quality trees choking the forest. He recommended removing some of the lower quality trees and brush so light could get in. His estimate was fair and reasonable. The difference is noticeable- the forest seems healthier and we have a forest management plan going forward!